In the manner of George Morland. 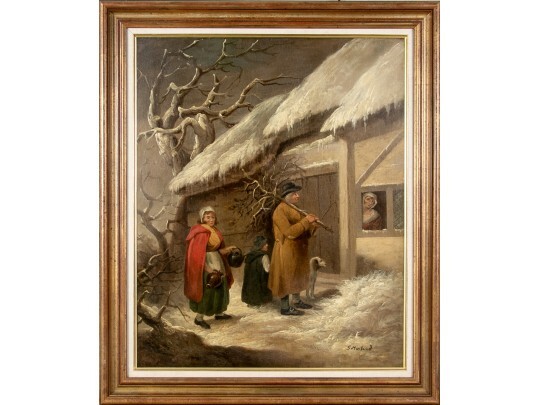 A winter genre scene with a male figure, purveyor of firewood with a tree trunk, who knocks on the door of a cottage. He is accompanied by a young girl with a pitcher and tea kettle, and a young man with their dog. The lady of the house looks warily out the window. Bearing a signature that lights up under a black light.